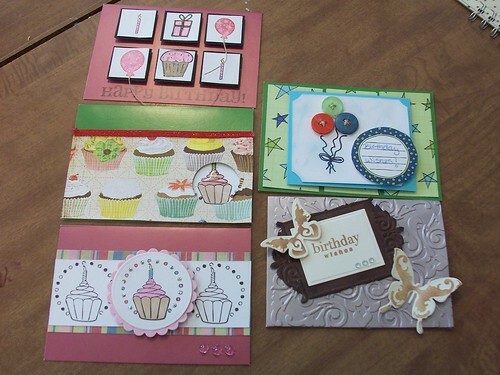 It has been requested several times that I create a birthday card class. It's strange I think just about everyone would say they use birthday cards the most but I almost never make birthday cards. Usually I make a general card that I know the recipient will like and use that. It was fun to use some new stuff and make birthday cards this time. 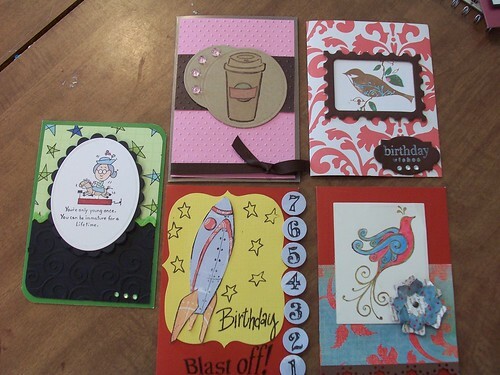 The class is for 10 cards and will be on February 26th at Felica's Scrapbooks.